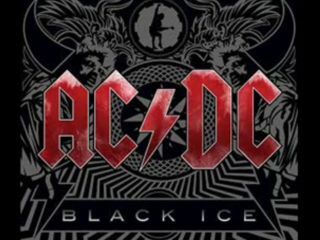 Indies fight back: "Don't piss off our customers"
Being the only outlet in the US to stock AC/DC's hugely-anticipated new album was a real coop for CD giant Wal-Mart. The band's label SonyBMG announced the 'exclusive' arrangement back in June, much to the dismay of independent shops and anti-Capitalists the world over. Now, the indies are fighting back by buying their stock from other, international territories and undercutting Wal-Mart in the process. Undercover News caught up with one jubilant independent chain: "we have been able to order Black Ice in from Argentina for $8.25 per unit and will be able to sell it for less than the Wal-Mart price." "We can buy from anywhere - with technology and international accounts, if a major like SonyBMG America decides they don't want to do business with us, we will do business with other territories. Why should we allow them to disadvantage our businesses and piss off our customers?" The Eagles' Long Road Out Of Eden was another Wal-Mart-only exclusive, selling more than 2.98 million copies in the US. It's pleasing to hear band's can still shift albums, but putting all of the eggs in one basket is hardly fair-game. We're not aware of SonyBMG's and Wal-Mart's financial agreements, and it's not clear which would suffer most from the lost exclusivity. But, if it helps independent sellers to stay in business and AC/DC are still getting paid, who should we feel sorry for? Perhaps AC/DC really should have just partnered up with iTunes!? Black Ice is due for release on 20 October... available everywhere. UPDATE: We asked a representative at Columbia Records (AC/DC's SonyBMG label) for their thoughts on the subject. Here's what they had to say: "no comment."